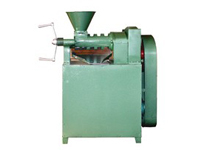 Castor bean oil extraction is usually a screw-type machine that presses oil seeds through a caged cavity. Castor bean enters one side of the machinery and the waste(oil cake) exit the other end. The machinery uses friction and continuous pressure from the screw drives to move and compress the castor bean. 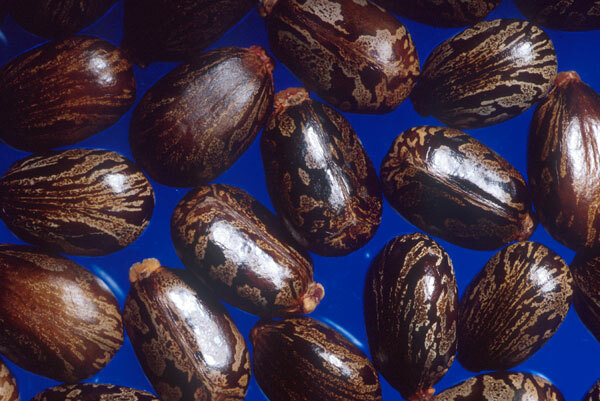 The oil seeps through small holes which do not allow castor bean to pass through. Afterward, the pressed castor bean is formed into a hardened cake, which is needed to be removed from the machine. Pressure involved in expeller pressing creates heat in the range of 60–99 °C (140–210 °F). 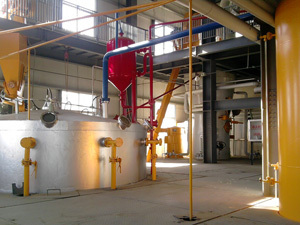 KMEC uses a cooling apparatus to reduce this temperature to protect the properties of the oils being extracted. Castor bean, however, does not release oil by simple expelling. 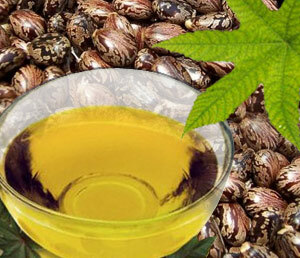 In order to get castor bean oil extraction from the castor bean that do not respond to expelling or to extract the final traces of oil after expelling it is necessary to use solvent extraction. Expeller processing cannot remove every drop of oil from the castor bean. 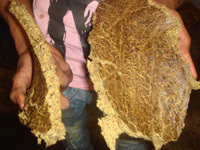 A significant amount remains trapped inside of the Castor Bean Oil Extraction cake which is leftover after pressing. In most small scale rural situations this is of little or no importance as the cake that remains after the oil has been removed finds uses in local dishes, in the manufacture of secondary products or for animal feed. 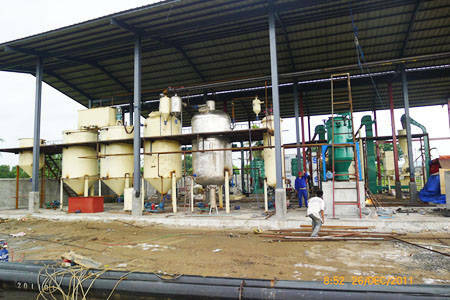 KMEC offers the best qualified Castor Bean Oil Extraction Machinery with competitive price and best service . Feel free to contact us at any time ,we are always at your service.